The Psoriasis Balm & Serum are both made using a nourishing base of Organic Hemp Seed Oil & a combination of gentle fruit acids + essential oils to gently smooth skin and soothe the appearance of Psoriasis on the scalp or body. 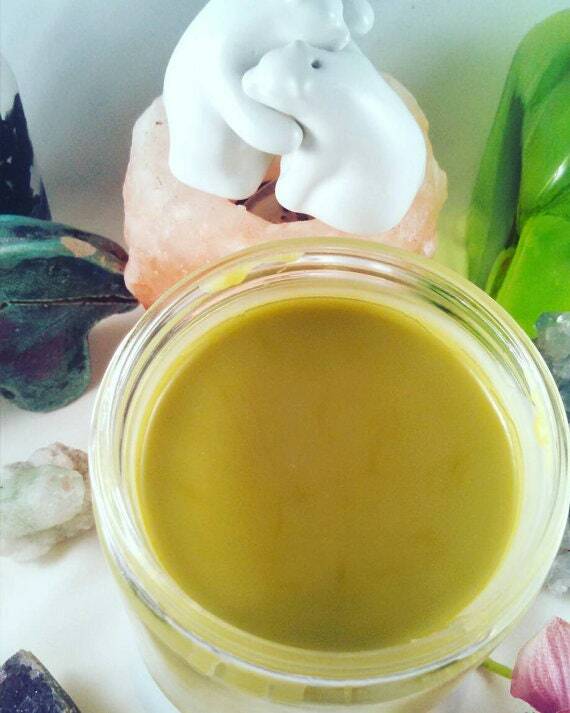 Because these oils are so light and nourishing, you can use this balm on both scalp and body. I like to layer this with the Psoriasis Soothing Mist on my scalp the day after I shampoo. I also keep one in my purse. As far as balm or oil, whichever you prefer. It is very much just a matter of texture preference. Both are equally effective. The texture of the balm once rubbed into your skin is just very very slightly heavier than the oil. This balm is very near and dear to my heart. For most of my life, I had patches of Psoriasis on my scalp. When I stopped using commercial shampoo and conditioner, it improved, but never totally went away. My scalp was always dry and itchy. Using this has helped improve my scalp by leaps and bounds. Organic Argan Oil is packed with vitamin E. It is antioxidant rich and improves the health of your skin. Argan is also amazing for hair and helps balance oil production as well as soften tough skin. I use the finest Organic Argan Oil from Morocco. Solid balm that melts easily and soaks in quickly.